We'll learn the piano, proper hand technique, simple tunes, pop, country, classical, jazz, rock whatever gets you excited about playing the piano!!! My goal is to learn music the fun way. Along the way we'll learn theory, chords, scales, ear training, composition, reading music, tempo etc. Seth Jeremy has been creating music since he has been twelve years old, and continually strives to grow both as a composer and a songwriter. Seth brings the same goals to the table when producing. He is skilled as a musician by being able to write and arrange as a composer while also being able to sing harmonies, play piano, horn parts, guitar, or programming, making the song or composition the best it can be. While Seth Jeremy has many opinions on his approach to producing or creating songs, his co-workers and clients have said it best. In Darryl Swann’s words; “Seth Jeremy has such an eclectic music mind. His creative approach is raw and un-orthodox, yet refreshingly simplistic. Seth is a pure artist and has a incredibly-open, objective ear. He is open to all types of music, which gives him a deep gene-pool to draw from. I see SJ only growing as an artist as time goes on (Darryl Swann, Grammy producer). Seth Jeremy is also available for one on one, or small group lessons on Saxophone, Clarinet, Piano, Guitar, Vocals and Music Theory. Available to all styles, ages and levels in your home or mine in Los Angeles, CA. Lessons are tailored to the individual styles and goals. Seth has been teaching for over sixteen years primarily working with children. He has worked with Grammy winning producers, touring musicians, helping them hone up on there music theory, and piano chops. Seth Jeremy at the piano!!! check out all my services for hire!! 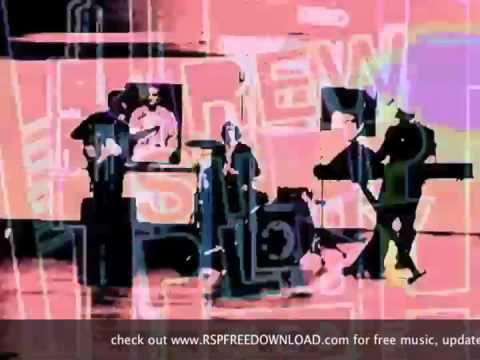 RewindStoPlay Video "I Can't Dance" band for hire... I can also tailor a band to meet your events needs!!! Seth is a good dude. I came across his profile with Take Lessons a month ago, after browsing through other instructors in my area and other schools in my area. He's got the experience and knowledge, so I connected with him for an initial lesson. It was a quick one to get introductions out of the way and a good idea of goals/direction. From there we further honed our plans for my instruction in an hour lesson and are directing our sights on my upcoming auditions. Seth has shown me through simple explanations of theory that his teaching style is very approachable, and additionally, was able to show me good technical skills on working my way around the horn, which is especially useful for someone like me in my twenties who already has a few bad habits (haha). Like I said, he's a good dude, good sense of humor so I feel at ease practicing with him and his knowledge is insane! Not only for saxophone but in so many other areas of music! You'd be doing yourself a favor to take at least an hour lesson from him and see how you go. Seth and I had a great first lesson. I haven't played in a long time and he gave me helpful pointers on how to improve my embouchure. He gave me positive feedback on my rhythm and constructive feedback on my tone. We worked through some songs together. Next time I will probably ask him to play some more for me so I can hear what I need to improve for a particular song. I highly recommend him. I have been using your advice every time I practice. Again, I am extremely grateful for the advice you have given me: I have improved more in these last few days than in the weeks of practicing before our lesson. I was looking for a male vocal coach who had experience, and that is exactly what I needed! Had a great recording session with Seth this week. He gave us good direction and really finessed our vocals and timing on the final recordings. Thank you Seth! Seth worked with us (Martini & Olive) engineering our Medleys — and he was patient inciteful and so helpful — massaging our intricate comedy melodies for our music video. We are a quirky fast funny funky lounge act and he understood our concerns musically and comically. We spent hours with him and he was a joy the entire time. Thanks Seth! Seth is working with my 9 year old and my 6 year old and is just great. He’s the perfect blend of classical and cool, which goes over well with the kids, inspiring a love of music while really learning form and technique. He’s also giving me refresher lessons so it’s good to see him work with all three levels at one time. We highly recommend Seth! He is very good, and I would love to work with him again in the future. whatzzzzz up, seth, you are the Beethoven of this millenia. seth knows how to work with kids well. I always have a lot of fun with him, and I recommend to anyone that would like to start a new instrument Piano Saxophone guitar and more. Sets is the best teacher and he makes piano so fun!! I've learned how to play the piano right! He is so fun! Thank you Seth!!! We were so fortunate to have found Seth! He has been teaching my two sons for over a year, and they have learned so much! Seth has incredible patience and can miraculously teach active little boys! We can't recommend hi enough! Thanks for everything Seth! My son Joseph takes lessons with Seth. Joseph can get distracted and get off track throughout his lessons at times. Seth has the ability and the patience to get him re-focused on the matter at hand-the piano. I know Joseph does not like to practice very much but gets very excited when he knows Seth is coming over to work with him and teach him. He is doing quite well and I am very happy we started lessons with Seth after thinking about it for over 1 year. Thanks Seth! SETH IS SO AWESOME! HE PLAYS GAMES AND TEACHES AT WHATEVER PACE YOU WANT! HE LETS YOU PLAY WHICHEVER SONG YOU WANT TO LEARN AND IS REALLY NICE AND I LOVE TAKING LESSONS WITH HIM! Seth is a great teacher, he makes the lessons fun. After only 4 1/2 hour sessions both kids were playing the piano. He is patient and very talented. I would highly recommend him. The fact that he comes to the house is such a bonus too. Seth has an innovative approach that my daughter really responds to...and he makes it fun to learn! Thanks Seth!!!! Seth has done such a great job teaching my daughters piano that I started taking lessons from him too! Seth came through in a pinch and was extremely generous with his time, talent and knowhow. Seth is an amazing human being and talented musician and producer. I'm impressed with how quickly he can pick something up and learn it. And the creative nuances he brings to the table are always innovative and yet compliment the work. Thank you, Seth, for such a positive experience!!! Seth is a great teacher! He works great with kids too. I'm so glad I hired him. Amazing teacher! If you will not get something at first, he'll explain it in so many different ways so you'll get it immediately. I wish I started with him earlier. I recommend Seth to every parent who wants their children to learn music AND half fun while doing so. 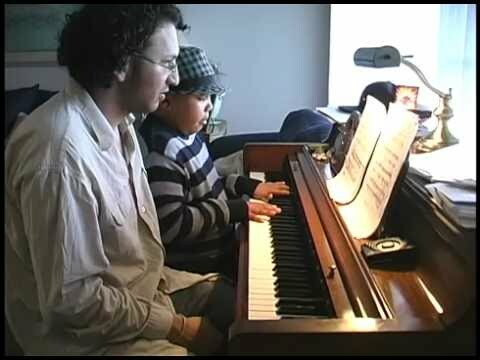 He is a talented piano player, a great teacher and wonderful with kids. You will not be disappointed. Seth is a pleasure to work with! He is very flexible, accommodating, and most importantly talented! He's got a real signature to his sound and his ear is pretty much impeccable. Seth has written the music and produced my first album and am very proud of how it sounds. Oh and he's also a great vocal coach. He's a one stop shop! 5 stars! !